Looking to know how to rack pool balls. In this post, we will guide you how to set up the balls for 8 ball, 9 ball, straight pool and 10 ball pool game. 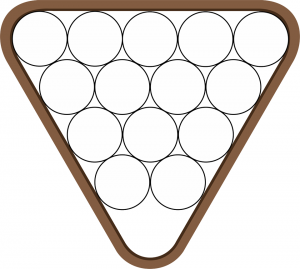 In order to set the balls, it is highly recommended that you have a triangle rack. It will help you speed up the process with minimum error. 1) Gather all the 15 balls. 2) Pick up the triangle rack and place all the 15 balls in there. 3) The side of triangle rack with two corners should be facing towards you. 4) On each of these two corners, you must have a strip and a solid ball. 5) The third corner which is pointing towards the other end of the table from where the player will play the break shot can either have a strip or a solid ball. This location is called the head ball location. 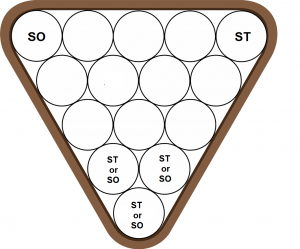 In the below picture ST stands for strips while SO stands for Solids. 6) On the second row which has space for two balls only, can have a strip or solid for any arrangement. 7) For the third row, which has space for three balls only, must have 8 ball in the middle. The other two spaces will have the ball type that is opposite to what is adjacent to it in the second row. 8) For the fourth row, which can have four balls only, place the balls in any order just make sure that there are no three balls of same type adjacent to each other. 9) For the fifth row, the corners are already fixed as you did in step 4, you can place the remaining three balls in the middle three empty spots, just follow the same rule that no three balls of the same type should be adjacent to one another. 10) Drag the rack to the single dot that is marked on the table. 11)Now that all balls are in right order, its time to squeeze them up because the racks are not shaped to fit in the balls tightly. So place in your fingers at the end with two corners and push the balls towards the end with one corner only. 12)You will feel the pressure on the balls, now slowly release your fingers making sure that you don’t alter the balls’ position while doing. That’s it. You are all done with how to set up pool balls for 8 ball version. Your rack is set up waiting for the break shot. 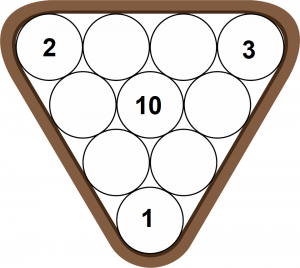 There are 9 balls to be placed in a diamond shape on the pool table. Different tournaments can have a varied position of balls on the diamonds but in this tutorial, we will focus only on the general arrangement of the rack which is applicable in most of the tournaments. 1) As you need to make a diamond shape so for 9 ball rack there will be only 5 rows of balls. The first row will have one ball, second with two, third with three, fourth with two and fifth with just one ball. All these sum up to 9 balls. 2) The first row will the ball number 1. 3) The second row can have any ball except for the ball number 9. 4) The third row must have the 9 ball at middle position rest of the positions can have random ball number. 5) The remaining positions can have balls with any number. 6) Although it is not recommended but you can place the 2 ball in the fifth row as many tournaments want the 2 ball at the opposite end. 7) In the end, you need to slide the rack onto the foot spot on the table making sure that the one ball is at the middle of the foot spot. That’s it. You are all done with how to set up pool balls for 9 ball version. You can break the set and begin potting. The straight pool does not have any specific rules to set up the ball in any specific order that is because of the random ball that will end up on the table in the end when all remaining 15 balls have been potted. 1) Put in all the fifteen balls into the triangle rack in random order. 2) Just make sure that the ball with number one is on the head of the triangle rack. 3) After all fourteen balls have been potted, set up the rack again with the 14 balls in random order, however, if the first ball is at the location where the table rack is supposed to be set up then adjust it in there if possible without it being disturbed. If the ball position does not allow it to be fitted inside the rack or it lies outside the rack position then simply set up the rack with 14 balls with the head position empty. That’s it. You are all done with how to rack pool balls for straight pool version. Continue potting and enjoy the game. In case of 10 ball pool rack, you have 10 balls all numbered from 1 to 10. You need a triangle to set these up. Like the 9 ball where different tournaments had their own requirements, In case of 10 ball, there are different arrangements for different tournaments. 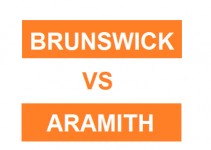 However, we will focus on the most common arrangement that you will find in most of the tournaments. 2) Now locate the ball with number one and place it at the head of the triangle, or the end of the triangle that is facing the break. 3) Place the balls with number 2 and number 3 at the opposite end of the triangle. 4) Locate the ball number 10 and it will go in the center of row three. 5) Rest of the balls can go in random positions. You are all set for the 10 ball game and begin breaking. Different games have different rules when it comes to rack pool balls. A must thing to remember is to have the right rack size for the type of game you are playing. If for some reason you don’t have the equipment you can still do it with hands just make sure that you set them up tightly. 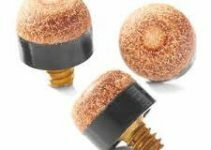 This would help in the fair transfer of momentum from the cue ball onto the balls.